He is certainly not the first star from ‘Teen Mom 2’ to have a second baby. 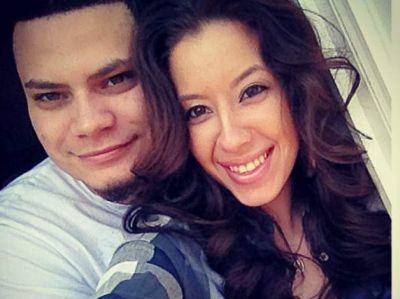 His ex, Kail had another baby, as did co-stars Jenelle Evans and Leah Calvert. Adam Lind, father of Chelsea Houska‘s daughter, is also a parent to two children. It does not appear that “marriage” will come before the “baby carriage” for these two. Last year, Vee stated that she and Jo were in “no rush” to get married. UPDATE: Vee has confirmed the story on her Twitter account. “But on another note BLESSED for this journey in my life! This feeling is so indescribable. It outweighs any negativity anyone tries to throw at me… I am truly humbled and blessed! I am going to be a momma,” she wrote. Way to go guy’s hope you get the healthy baby and I can’t wait to see its name and gender. To Vee: I know you are great with Isaac. I can’t believe it’s taken you to this long but now that you two are ready it will be a great blessing to you both. You are like a mommy that has had the greatest practice with jo’s first child and I know that was hard but it was a great first step for you both to learn with. So be happy and start nesting cause there is so much to do and so little time. I hope you prospers in the family wave to come. To Jo, its been great watching the episode with you and Isaac in them. I hope you get a healthy child. I can’t believe you guys held out this long but time is what you need and I glad it is here. I am happy for the two of you and glad to see you becoming the family man that you are. I love watching you and Isaac spar in the episode I have watch. It seems like being dad is natural for you and I cant wait to hear the name and hopefully we get to see a picture or two. I hope you two stay together and Prosper in the new adventure of a second kid and a great mom you have chosen to be by your side.